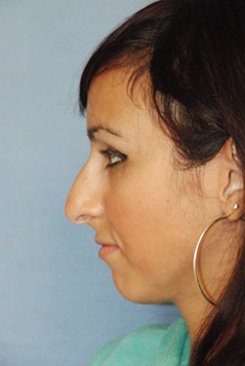 Nose Fillers, Injectibles | Non Surgical Rhinoplasty by LA Beverly Hills Trained, Award Wining, Bellevue Facial Plastic Surgeon Dr. Philip Young MD. Learn Why People All Over the World Come to see Dr. Young. The result below was the immediately after the Fillers | Injectibles were placed. We are having the patient come back for more pictures and we will give you an update. The Fillers | Injectibles we used was Restylane®. The patient did not want a surgery at this time so she opted for us to do a non surgical rhinoplasty with facial fillers. 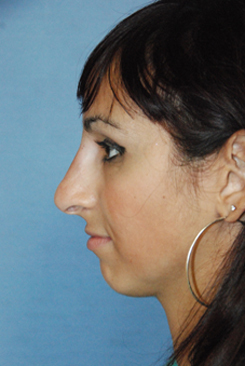 Our concentration on the fillers was to place it in the bridge above the dorsal | nose hump | bump to camouflage it. We also wanted to make the tip come higher to match the rest of the bridge | dorsum. This procedure was done without sedation. We used topical anesthesia to help with the injections. Also the Restylane® itself also had anesthesia in it as well. The fillers and Restylane® last 6 months to a year. Sometimes you get longer lasting results that can last years. This is supposed to be rare and not the norm. Recent studies have shown that Restylane® can give long term results through its stimulation of collage where it is injected. This result has long been associated with Fillers | Injectibles such as Sculptra and Radiesse®. Restylane® is good because the results can be shaped after you put it in or inject it. There is an enzyme that can be injected to take some or all of it away if you don’t like the results. Hyaluronidase is the injectible enzyme that can degrade the Restylane® and this usually works in 2-3 days. Essentially, we will make sure that you like your results!